Registered Nutritionist based in Galway, Oranmore and Craughwell. I am a clinical nutritionist working in the health sector for more than 10 years. 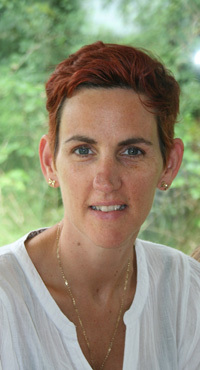 I work alongside the GP and world renowned medical Herbalist Dr Dilis Clare in her Galway practice. As part of her clinical team I take on the role of functional nutritionist- linking diet, medical history, lifestyle and presenting symptoms to uncover the cause of your health problem(s). I also work in functional medicine in my own Nutrition clinics in Galway and Oranmore. In other words, my aim is to not only to make you feel better but ultimately find out why you are not feeling well. This may involve diet and lifestyle changes. I do prescribe some supplements, herbal blends and certain interventions based on the needs, budget and capabilities of the person. No two people are the same! I also guest lecture in Athlone IT and work along side GRETB on positive nutrition based projects with a variety of students as part of the panel of teachers. Some clients request food plans and support with particular diet plans and I am happy to work with them if the diet is right for them. More and more teenagers, families and children are coming to see me either to empower themselves, deal with bad eating habits or get dietary advice for particular sports nutrition. Nutritional therapy is fast becoming the key to optimal health.I designed my own combined nutrition and healthy cookery demonstrations based on the various conditions I see in clinic. After working in the food industry for 15 years the two worlds work really well togethor. People want practical, healthy and mainly quick recipes and plans to use in their busy lives. Healthy does not have to be bland and boring! To sign up to my cookery classes(see classes page) or for a nutritional consultation call 087 9074701 or use my contact page. Corporate Nutrition training or Cookery Classes and demonstrations. 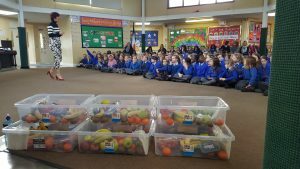 School healthy eating projects and nutrition information. Secondary and Third level Education. So how can a nutritionist help you with your nutrition? For more information please feel free to get in contact. Either via my contact page or simply call 087 9074701. Since I went to see Tara 6 weeks ago my I have not needed to take any rennie's tablets, I have so much more energy and I feel so much healthier in myself. I would highly recommend Tara for her vast knowledge of nutrition and functional medicine. My quality of life is getting better by the day! Thanks so much your class was great last night, really enjoyed! Such good food and tasty!! Hard to get both sometimes! Tara is an experienced and knowledgeable nutritionist, who offered me comprehensive advice on overhauling my diet to enhance my quality of life. I wouldn't hesitate to recommend her to anyone looking for a caring and professional nutritionist.